Milwaukie, Oregon is a city in Clackamas County. Originally known as “The Dogwood City of the West”, the city was incorporated in 1903. With a moderate population of over 20,000 residents, Milwaukie is considered to be a suburb of Portland. 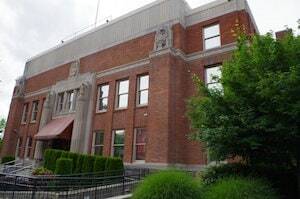 While Milwaukie is known for it’s residential settings, the downtown area is starting to attract visitors thanks to an economic development project. There is a riverfront park being developed, new apartments, and retail space under construction. Residents are thrilled, as this will only compliment the existing restaurants, coffee shops and stores. Regarding city highlights, Milwaukie is known as the birthplace of the Bing Cherry. 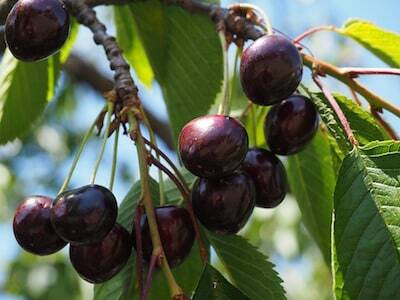 To this day, the Bing Cherry is the most produced variety of sweet cherries in the United States. Milwaukie is also the home of Dark Horse Comics, and their headquarters is featured as a town attraction. Dark Horse Comics is an American Comic Book and Manga publisher. Not only have they published many licensed comics, including comics based on Star Wars and Conan, but they’ve also published creator-owned comics such as Frank Miller’s Sin City and Mike Mignola’s Hellboy. Dark Horse Comic’s office space occupies three of the city blocks in downtown Milwaukie, and there are several display windows visible to those who pass by on the transit. If you are facing DUI or other related criminal charges in Milwaukie, Oregon or elsewhere in Clackamas County, it is absolutely critical for you find a competent DUI attorney to help handle your case. It is ultimately your responsibility to handle your case in a timely manner, regardless if you feel you have been wrongfully accused or have limited options. Having a team of DUI lawyers from Reynolds Defense Firm who understand the roadmap of the criminal justice system in Clackamas County is important—it can help keep negative consequences minimal. Reynolds Defense Firm’s team of DUI attorneys has developed relationships with Clackamas County Prosecutors and Judges and boast over 50 years of combined experience in Clackamas County, so when you appear in court with one of our DUI specialists, they understand that we are standing with a person we completely trust and believe in. It is never a good idea to face DUI charges without an experienced DUI lawyer by your side, although legally you can. We always advise all parties with an arraignment to hire a specialist who is well versed in DUI law and knows how to navigate through all consequential legal proceedings. Hire Reynolds Defense Firm or simply hire another firm, just make sure you have a DUI attorney familiar with Clackamas County Courts by your side. If you need help with resolving a criminal matter for a DUI arrest in Milwaukie or the surrounding areas in Clackamas County—please call Reynolds Defense Firm at (503) 223-3422, or contact us by using the online form for your free consultation. You can also opt to chat or text our team live, 24/7. Reynolds Defense Firm is happy to help you address your legal matters, and can help answer your questions and figure out what the best steps are for you and your family.